I love the clean polished look of painted nails, but it totally bugs me when my polish starts to chip. 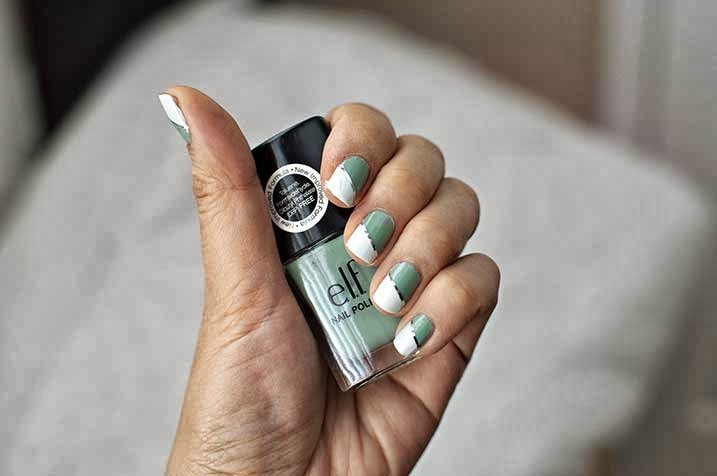 I also love the look of nail art, but I really do not have time to wait for my polish to completely dry to do any nail art. Here is a perfect solution for my nail dilemmas. Below is a manicure that I had for a few days. You can see that the corners are chipping but my cuticle area is fine. To fix only the tips and to put a little nail art I decided to paint my nails white on a diagonal. I used painters tape, but you could also use scotch tape. 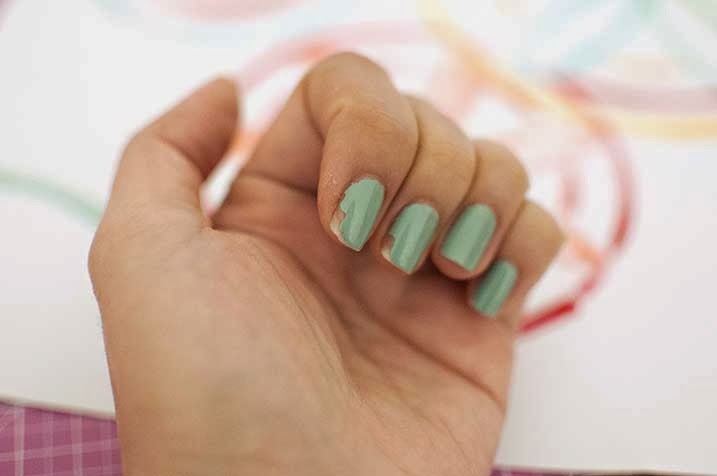 Just be sure to seal the edges onto your nail so polish doesn't seep. 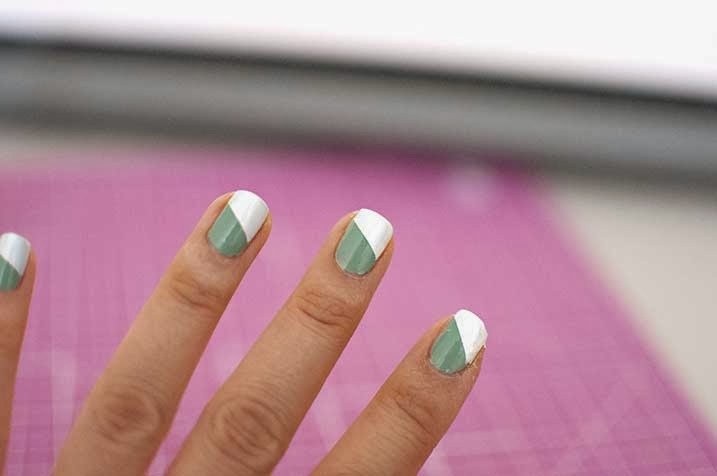 You could leave your manicure like this without the striping tape, but I think its cuter with the tape. To make the manicure even cuter, I bought these nail striping tape from amazon. It was only a dollar for 8 rolls. Yes, it was shipped from China, but came in about a week. The quality was decent. One of the rolls didn't stick very well, but overall I was happy with the quality. I don't even know how they made any money since it was only a dollar, and shipping had to be pretty expensive. 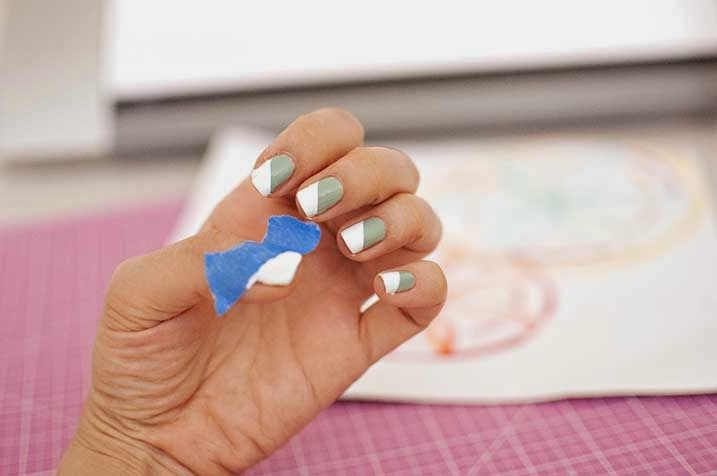 Apply the tape on each finger (see video tutorial below on tips on how to apply nail art strip tape). You will need small cuticle scissors to cut the excess. Couldn't be easier. And its so much better than doing a whole new manicure. 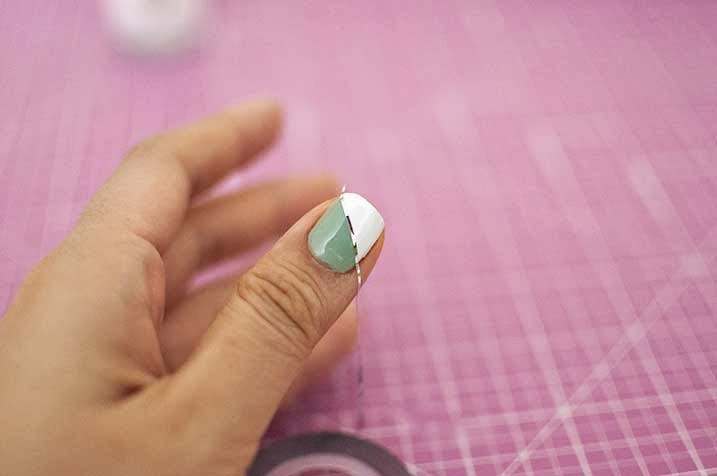 This video tutorial is not only how to put striping tape on, but how to do it with your non dominate hand. I am a righty and not very coordinated, so doing anything with my left hand is always a challenge. 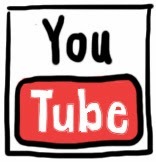 This video will help you do nail art with your other hand. Thanks for sharing. 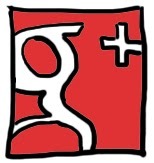 Great websites! We too have a blog on YoWhatsApp which is the best WhatsApp MOD app ever. Hello Dear Admin of thecheesethief.com blog. First of all, I want to tell you Thank you very much for the unique and interesting article. Here you have fully described How to Save a Chipped Manicure. This is really very helpful for everyone. Thank you very much for the valuable post. وما إلى ذلك. قبل تطبيق أي علاج ، تقوم Stomp Pest Control بالتحقق من مناطق المشاكل المحتملة التي قد تحددها. تحتاج إلى أن تميل إلى ذلك ، ولكن وظيفتك هي التأكد من حصول هذه المناطق على التعديلات التي تحتاجها.